Last Friday's outfit was decidedly summer, while this week it could not be more clear that Fall has arrived. I need to enjoy the grace of the good Fall weather as much as possible, because all too soon it will be getting cold. In an effort to get my cost per wear down on these $90 leopard Edelman heels, you will be seeing a lot of them, and likely a lot more of the utility jacket and plaid shirt as well. If it has to be Fall, I might as well get out all my favorites, and wear them together. Amazing as usual Lydia! I love the mix of plaid and leopard! I'm really enjoying the plaid shirt trend this fall too! Love this fall look! Have a wonderful weekend! This is a great Fall transitional look! Have a great weekend! 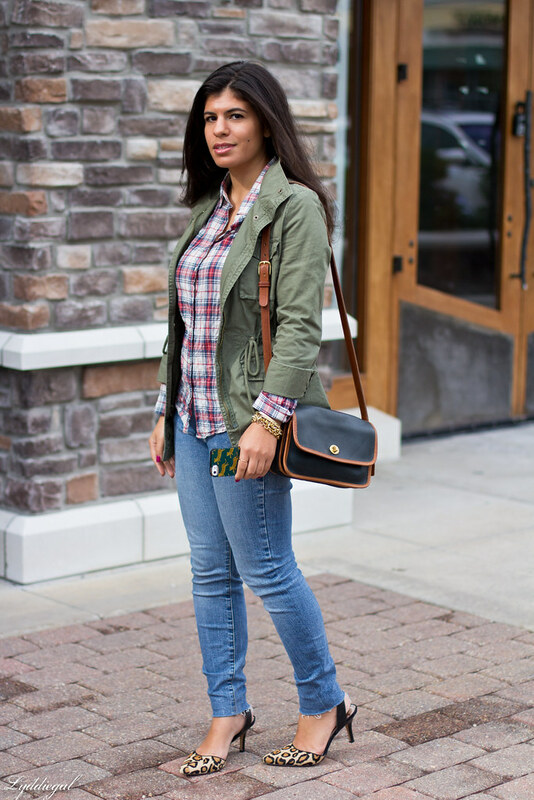 Love the combination of the plaid,military and leopard! Such a great look. Indeed! 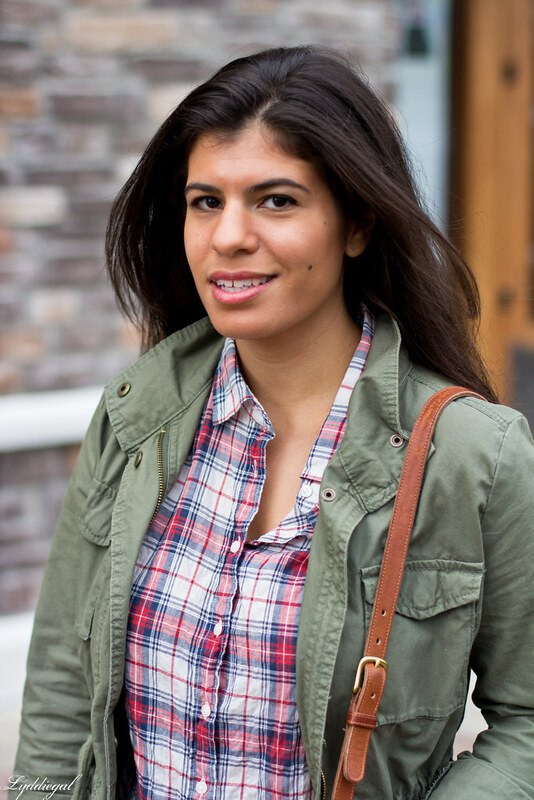 And what better way to welcome fall than a military jacket, flannel and leopard print? Great look! You are wearing all of my favorite things right now, LOVE IT! Loving this fall look! That military jacket and plaid were made for eachother! Have a great weekend! Love this mix print ensemble. It is still warm here. Not cooling off again until late next week if the weather man can be believed. I dress for a warm fall day in the morning, come home from work and switch into summer gear again. such a cute outfit! love the heels! Beautiful outfit, love the Combination!!! Those leopard heels are perfect! I love all of your items for Fall. If the weather would cool down some here I would start wearing my favorite Fall items too! You are wearing all my favorite things in one look. Phone twins! Right down to the snazzy gold phone. It's been chilly here in the morning (high 40s/low 50s), but 80 degrees by the end of the day. I'm tired of it. I just want to wear a jacket! great fall outfit. I love those heels;leopard pumps are the perfect way to get into the fall spirit! Wear those heels all you want! They look so good with plaid! Those shoes are perfection--totally worth the splurge I think. 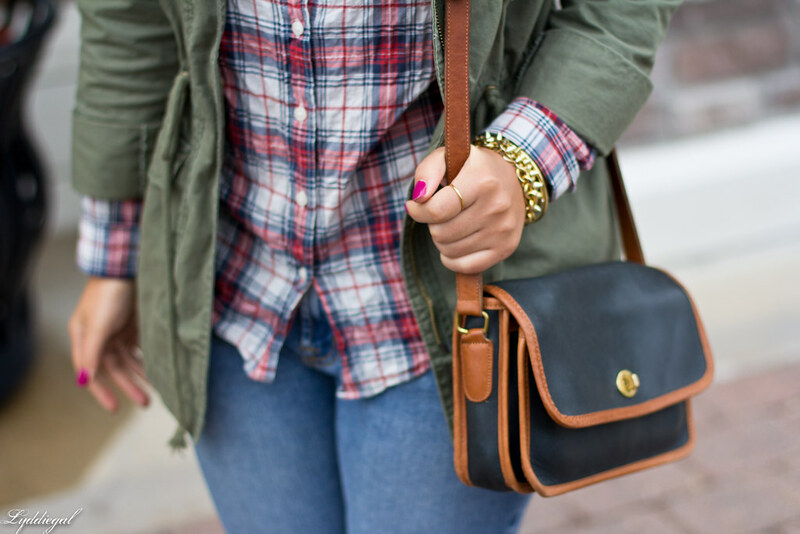 And yay for plaid and utility jackets...quintessential fall! Love this fall outfit and those shoes are to die for. Wow those shoes are absolutely stunning, so in love with them, perfection. 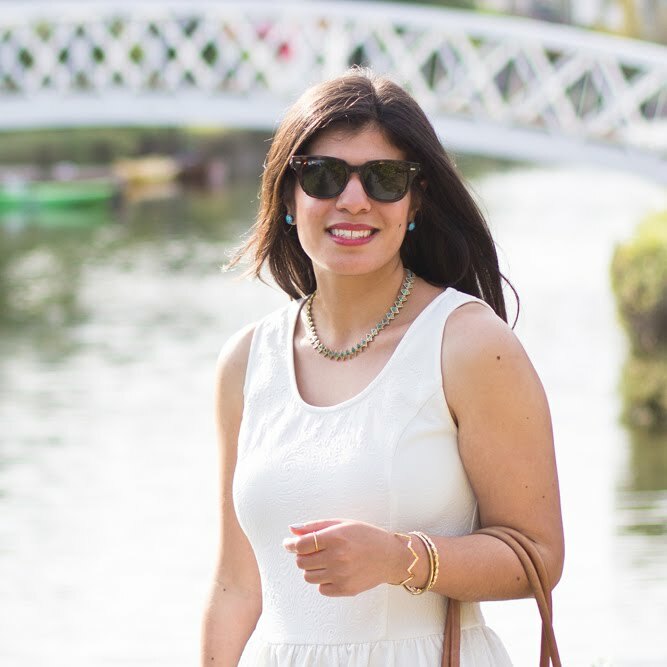 What a perfect transitioning outfit! I love parkas and yours is so cute! I also LOVE your bag! So pretty! I always love wearing animal prints! And your plaid shirt is lovely. Last year I was a bit hesitant but now I am definitely looking for one - and a plaid scarf too!! I love the shirt. Plaid is one of my favourite trends this season! Great look, I love the mixture of different prints, it's something I love to wear myself. Well done ! lovely shirt! very nice and relaxed look! 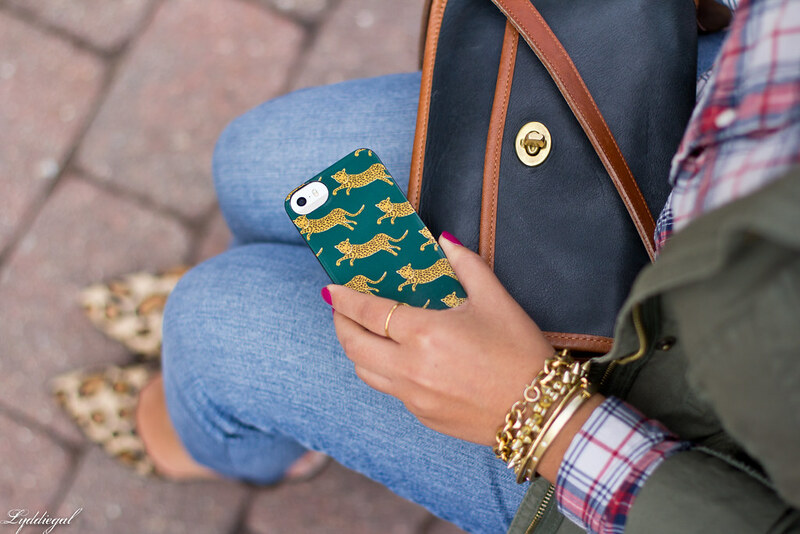 Love your outfit, your iphone case is perfect! How gorgeous is that plaid short! What a great thrifted bag! This is definitely a coach classic! Anyway, I'm looking forward to seeing you continue styling these shoes. I always consider the cost per wear myself. I even started using an app for that--haha, funny there seemingly is an app for everything. Love the plaid and leopard combination! Everything about this look is just way too perfect. Loving how the plaid and cheetah mesh perfectly. Those are such cute shoes! Your heels are cool! I took out my leopards the other day. Love your tartan top! a utility jacket is such a must have! Cute casual look. Love the mix of prints!